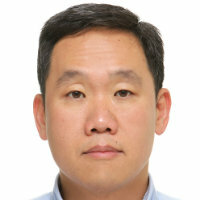 Son, Byung-Gak is a Senior Lecturer in Supply Chain Management at Cass Business School. His research interests are Supply Chain Partnership, Supply Chain Risk Management, and Offshoring and Outsourcing. Currently his research is more focused on Managing Risks in Extended Supply Chain. His consultancy work includes the Korean Ministry of Foreign Affair and The Korea Trade Investment Promotion Agency. Jon, J., Hong, E. and Son, B. (2008). The Changing Face of Operations Management. In Rowley, C. and Paik, Y. (Eds. ), The Changing Face of South Korean Management (pp. 77–99). Kocabasoglu-Hillmer, C., Son, B. and Sodhi, M. (2012). From the Outside Looking In: An Exploration of the the Investment Community's Perception of Supply Chain Management a Study of Equity Analysts' Reports. 19th International Annual EurOMA Conference 1-5 July, Amsterdam, Netherlands. Sodhi, M. and Son, B. (2006). To which supply-chain risks are consumer electronics companies more vulnerable? Production and Operations Management Society Conference Boston. Sodhi, M. and Son, B. (2005). Math modelling: what skills do employers want in industry? ICTMA 12 Teaching of Mathematical Modelling and Applications London. Hong, E. and Son, B. (2003). Measurement factors for logistics performance. Research Network Annual Conference London. Menachof, D. and Son, B. (2002). What do we mean by supply chain collaboration? Research Network Annual Conference Birmingham. Menachof, D. and Son, B. (2000). E-Commerce and the bulk shipping industry. American Society of Transportation and Logistics Educator's Conferenc Atlanta. Son, B.G., Ha, B.C. and Lee, T.H. (2018). Small and Medium-Sized Enterprises' Collaborative Buyer-Supplier Relationships: Boundary Spanning Individual Perspectives. Journal of Small Business Management. doi:10.1111/jsbm.12423 . Park, S., Yin, Y. and Son, B.G. (2018). Understanding of online hotel booking process: A multiple method approach. Journal of Vacation Marketing. doi:10.1177/1356766718778879 . Son, B.G., Kocabasoglu-Hillmer, C. and Roden, S. (2016). A dyadic perspective on retailer-supplier relationships through the lens of social capital. International Journal of Production Economics, 178, pp. 120–131. doi:10.1016/j.ijpe.2016.05.005 . Son, B.G., Sodhi, M.M., Kocabasoglu-Hillmer, C. and Lee, T.H. (2016). Supply chain information in analyst reports on publicly traded companies. International Journal of Production Economics, 171(3), pp. 350–360. doi:10.1016/j.ijpe.2015.10.011 . Bourlakis, M., Sodhi, M.M.S. and Son, B.G. (2013). The relative emphasis on supply-chain/logistics topics by UK industry in hiring postgraduates and by UK universities in teaching and research. International Journal of Logistics Research and Applications, 16(6), pp. 506–521. doi:10.1080/13675567.2013.841134 . Kim, C.S., Son, B.G. and Bourlakis, M. (2012). Factors affecting successful adoption of ubiquitous computing technology in supply chain contexts: A comparative analysis of UK and Korea. International Journal of Logistics Management, 23(2), pp. 280–306. doi:10.1108/09574091211265396 . Sodhi, M.S., Son, B.G. and Tang, C.S. (2012). Researchers' perspectives on supply chain risk management. Production and Operations Management, 21(1), pp. 1–13. doi:10.1111/j.1937-5956.2011.01251.x . Sodhi, M.S. and Son, B.G. (2010). Content analysis of or job advertisements to infer required skills. Journal of the Operational Research Society, 61(9), pp. 1315–1327. doi:10.1057/jors.2009.80 . Hong, E., Son, B.G. and Menachof, D. (2010). Exploring the link between IT systems and the outsourcing of logistics activities: A transaction cost perspective. International Journal of Logistics Research and Applications, 13(1), pp. 41–57. doi:10.1080/13675560903233682 . Mangal, V., Roels, G., Son, B. and Tang, C. (2010). An Approach for Developing a MBA curriculum to meet the career objectives of MBA students with Engineering/Science background. International Journal of Engineering Management and Economics, 1, pp. 103–144. Sodhi, M.M.S. and Son, B.G. (2009). Supply-chain partnership performance. Transportation Research Part E: Logistics and Transportation Review, 45(6), pp. 937–945. doi:10.1016/j.tre.2009.05.004 . Sodhi, M.M.S., Son, B.G. and Tang, C.S. (2008). ASP, the art and science of practice: What employers demand from applicants for MBA-level supply chain jobs and the coverage of supply chain topics in MBA courses. Interfaces, 38(6), pp. 469–484. doi:10.1287/inte.1080.0377 . Bhalla, A., Sodhi, M.S. and Son, B.G. (2008). Is more IT offshoring better?. An exploratory study of western companies offshoring to South East Asia. Journal of Operations Management, 26(2), pp. 322–335. doi:10.1016/j.jom.2007.02.005 . Sodhi, M.S. and Son, B.G. (2008). ASP, the art and science of practice: Skills employers want from operations research graduates. Interfaces, 38(2), pp. 140–146. doi:10.1287/inte.1080.0342 . Transportation Research Part E: Logistics and Transportation Review, Referee, 2008 – present. International Journal of Production Economics, Referee, 2007 – present. Long Range Planning, Referee, 2007 – present. International Journal of Logistics Research and Applications, Referee, 2006 – present. Informs Online, Associate Editor, 2005 – present. Production and Operations Management Society Conference. (Conference) Boston (2006). Paper: To which supply-chain risks are consumer electronics companies more vulnerable? ICTMA 12 Teaching of Mathematical Modelling and Applications. London (2005). Paper: Math modelling: what skills do employers want in industry? Research Network Annual Conference. (Conference) London (2003). Research Network Annual Conference. (Conference) Birmingham (2002). Paper: What do we mean by supply chain collaboration? American Society of Transportation and Logistics Educator's Conference. (Conference) Atlanta (2000).